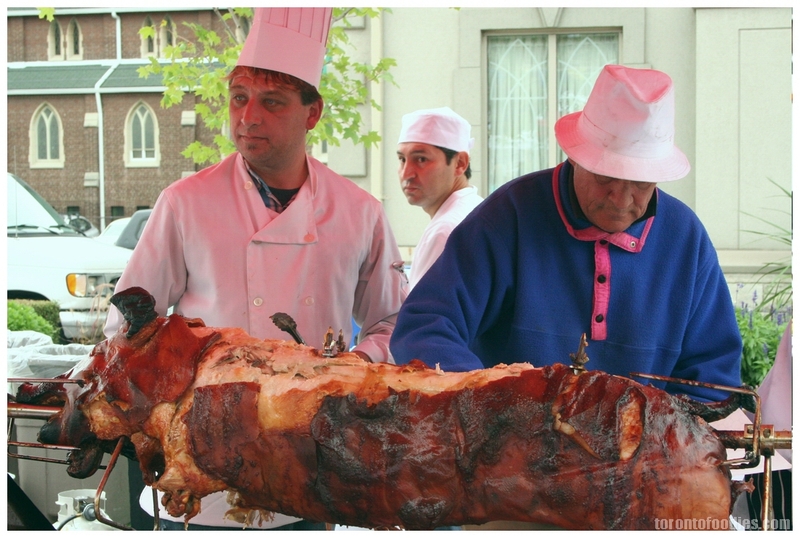 Just wanted to fire up a quick write-up of my visit to the Toronto Ukrainian Festival this past Sunday. 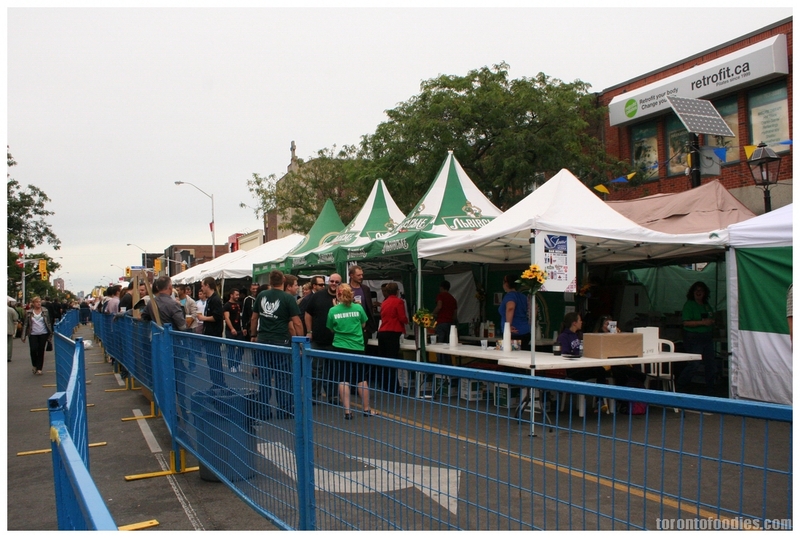 This was my first time out to the Toronto Ukrainian Festival. 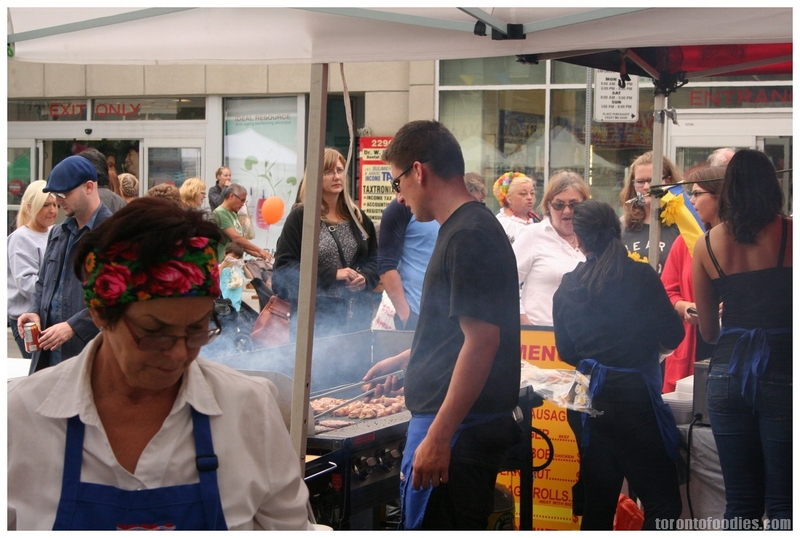 I only heard about the Polish and Ukrainian Festivals for the first time last year, and briefly cruised by on the way home from my visit to the Polish Festival last year. Even though I had already trekked out to the west end the day before, to both Roncey and The Junction, I’m glad I went back crosstown to check out this event. 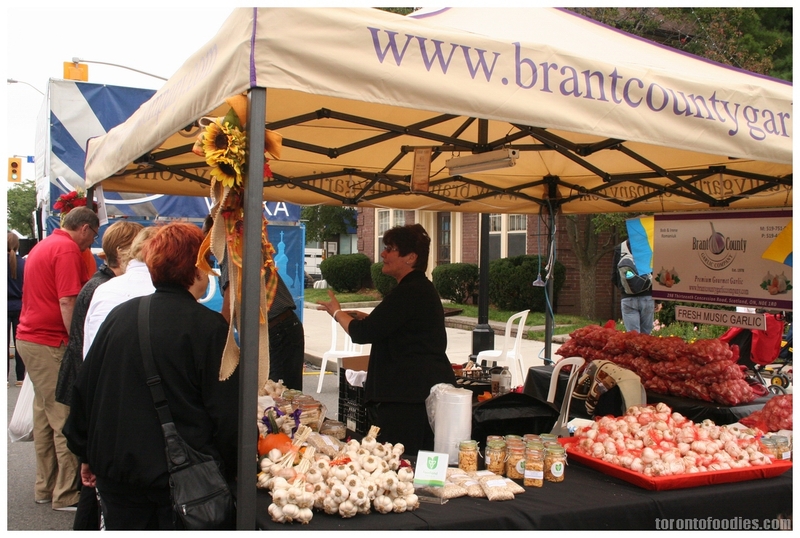 This is the festival’s 17th year, though I don’t know if they’ve always been at this location. The Bloor West Village neighbourhood [ Website / @BWVbia ], roughly mapping to the TTC’s Bloor Line from Jane to Runnymede stations. 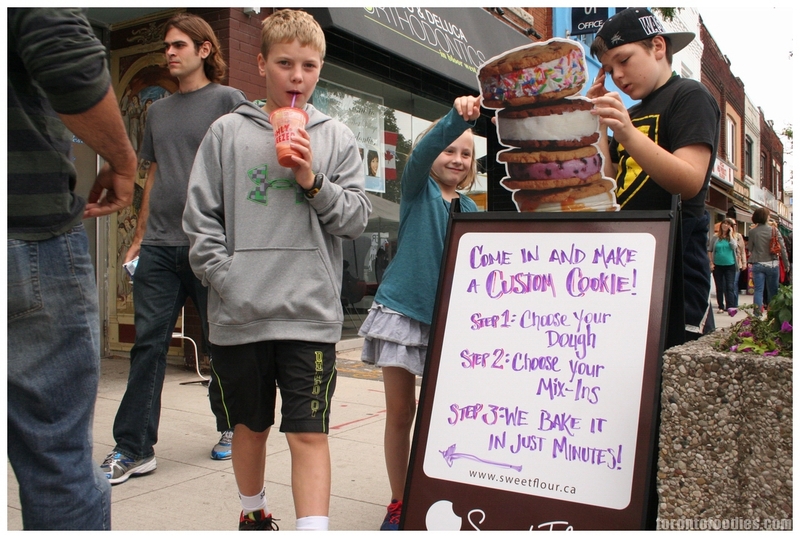 This year’s event had a stretch of Bloor Street, starting at Jane Street, running 8 streets (almost a kilometre) east to Glendowynne, 2 streets past Runnymede Station. I’m glad I didn’t overdose on pierogi the day before — I think the Ukrainian Festival actually has a far more diverse selection that the Roncey Polish Festival. The lines were all pretty reasonable — short enough to avoid crowdrage, but busy enough to keep the event lively. One of the longest lines I spotted was at Chervona Kalyna, and that’s despite the lack of any loud branding or signage. 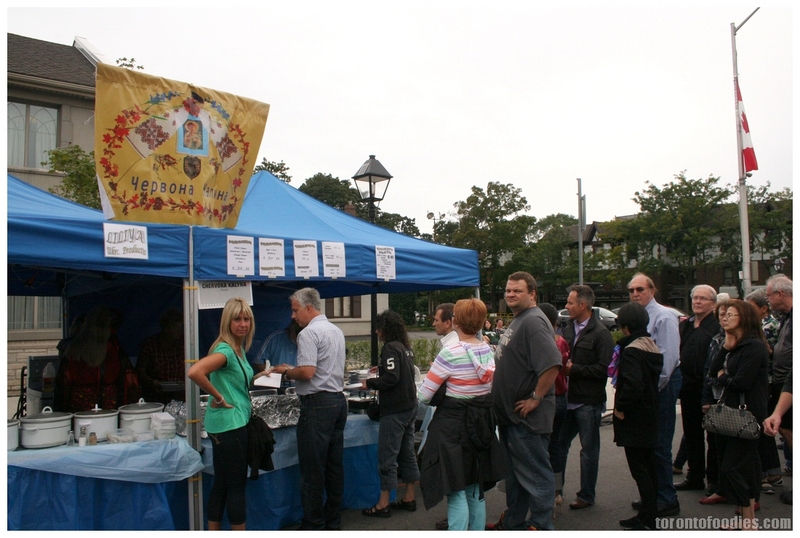 In fact, there wasn’t even an English sign for the name, unless you looked closely at their vendor sheet! 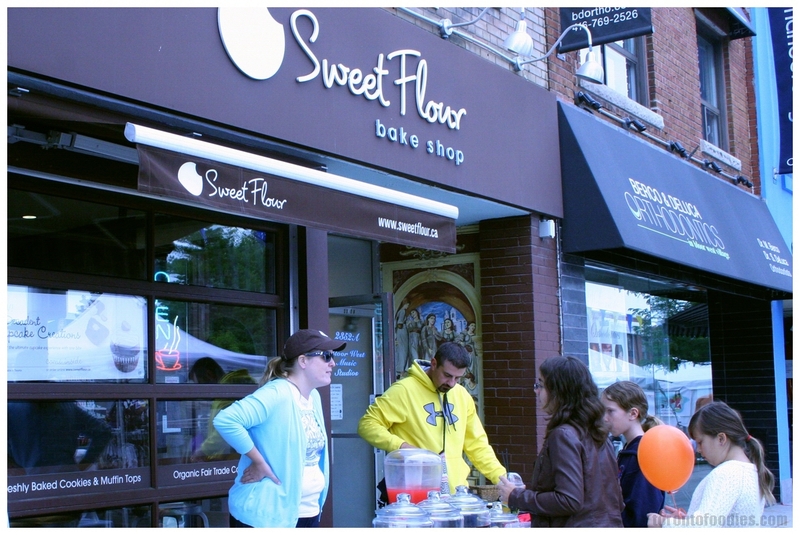 I was completely drawn to their sweet pierogi — I’ve never heard of Strawberry or Plum or Blueberry fillings before! I heard a lot of people talking about buying some frozen packaged plum pierogi to take home, so I figured this vendor was pretty reliable. Unfortunately, this was around 2pm, and they had sold out of all the fruit varieties. 😦 They also had cabbage-wrapped chicken, sauerkraut, and some other options, but my heart was already too shattered to consider other options. 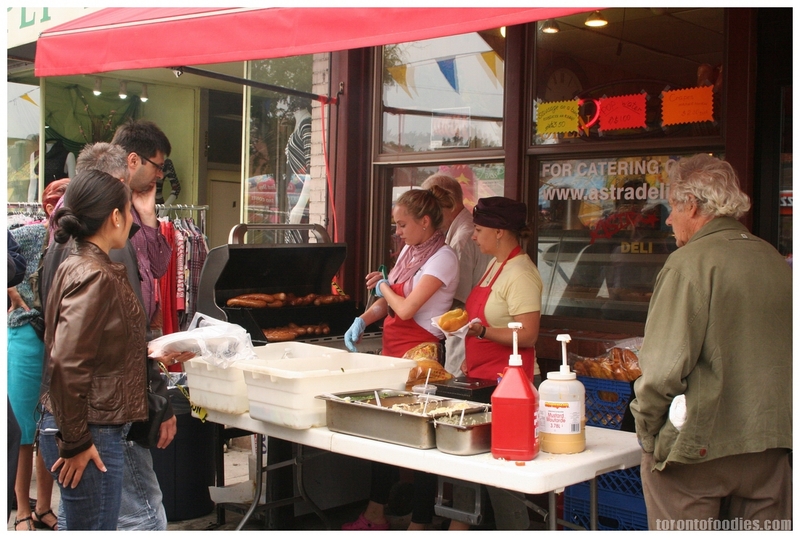 In addition to pierogi and sauerkraut, there were also plenty of sausages and kebobs available. I didn’t see much schnitzel here (compared to Roncey), but there seemed to be more bakeries here. 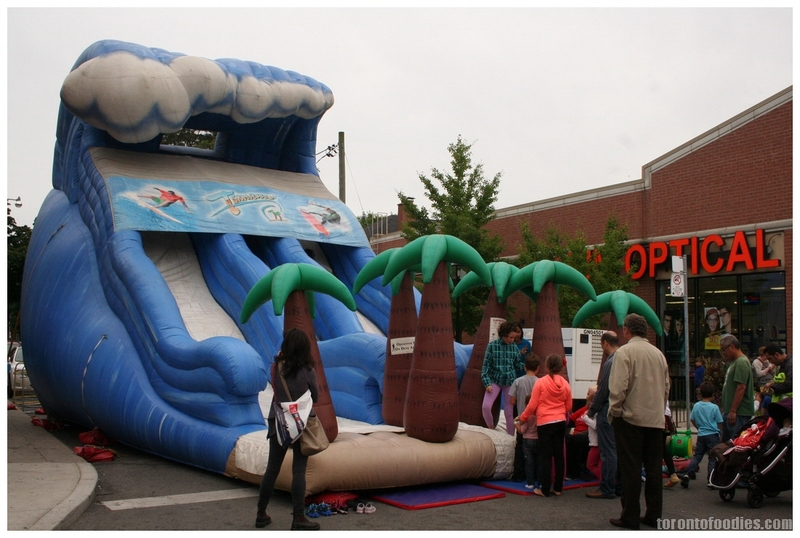 For the kids, plenty of midway rides and other fun diversion. For the adults, there was a very spacious beer garden. This sign stopped me dead in my tracks. 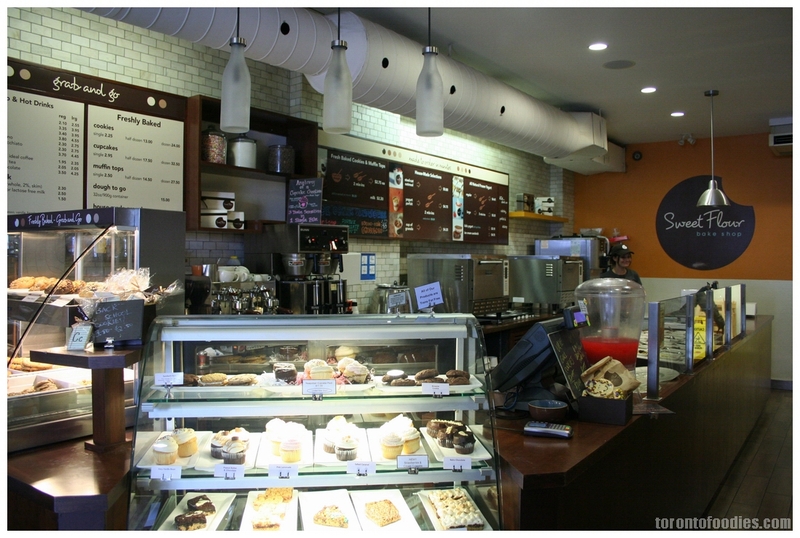 It’s my first time in the area, so I’d not heard of the Sweet Flour Bake [ Website / @sweetflour / Facebook ] before. Apparently they’ve been making baked-to-order cookies for about 3-4 years now. You choose your dough: Original, Peanut Butter, or Oatmeal dough. You choose the mix-ins for the cookie — choices include whole pistachios, dried figs, and even potato chips! Then, they bake it on the spot. The idea blew my mind. I didn’t try it this time, but I will definitely be back to give it a shot. 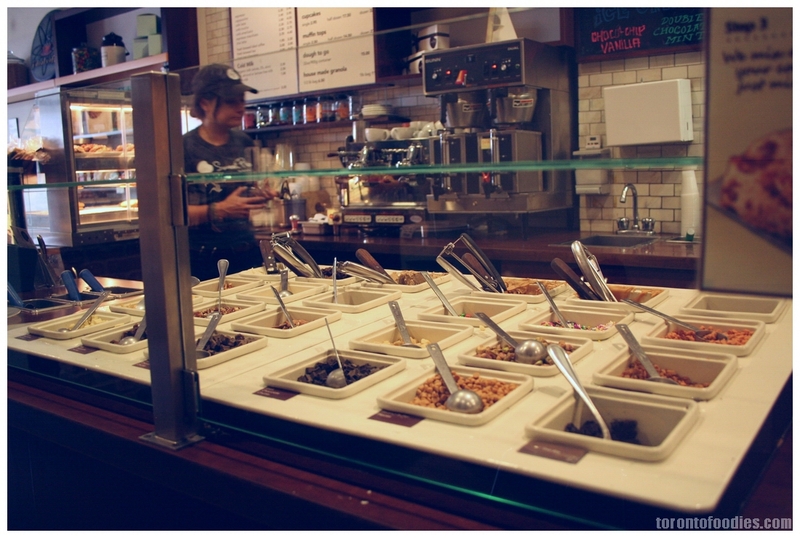 They also make muffins, oatmeal, and yogurt with those mix-ins, so you’re not just limited to cookies. They can also host cookie parties! 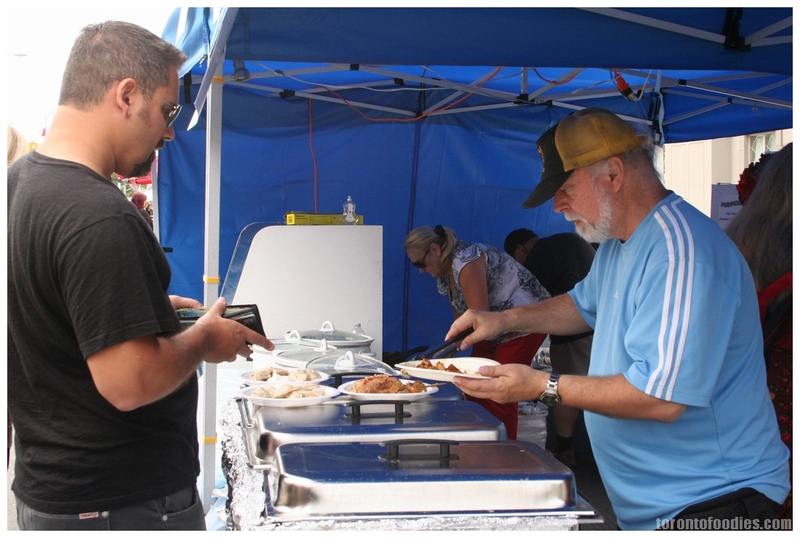 This vendor was selling pork sliders ($5), with meat carved right off the roast pig. While customers waited for their sandwiches, the chefs served slices of crispy roast pork skin given to the customers waiting for their sandwiches. 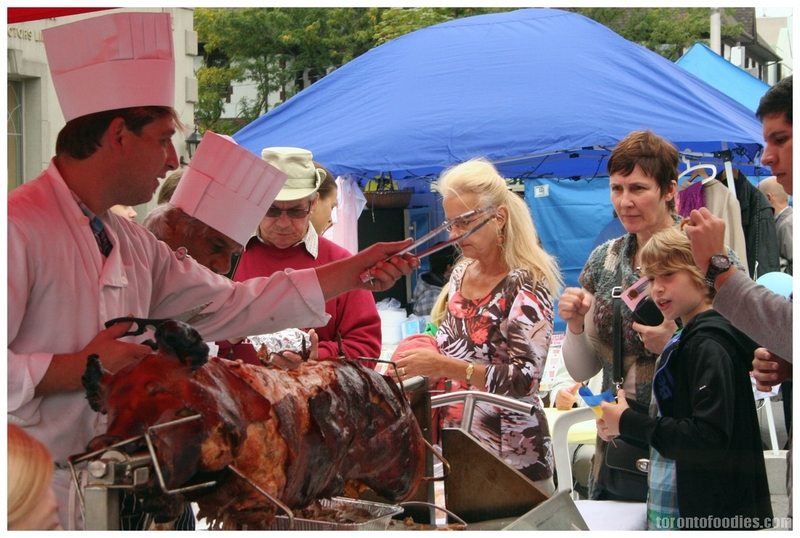 The welcoming reception from this crowd was markedly opposite to the finger-pointing and terrified looks from those who saw the skewered pig rotating on the grill at the Polish Festival. 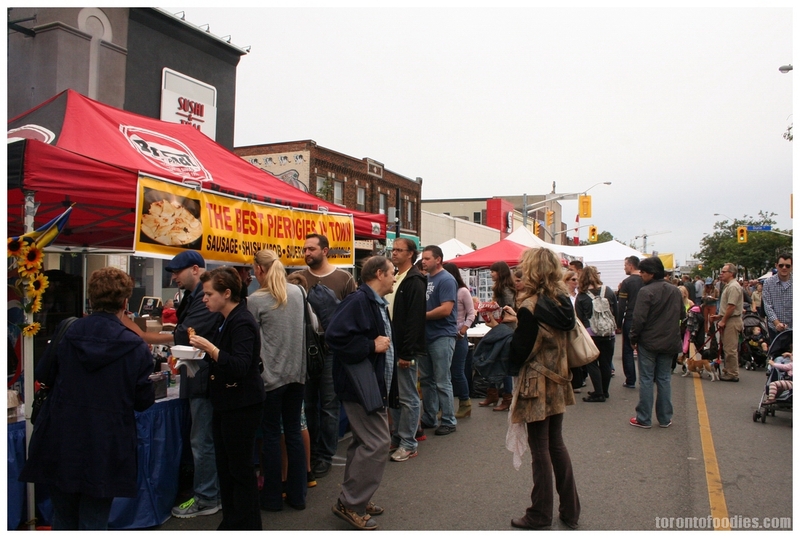 I saw this multi-vendor stall, with a large “PEROGIES-JERK”, and was powerless to resist. 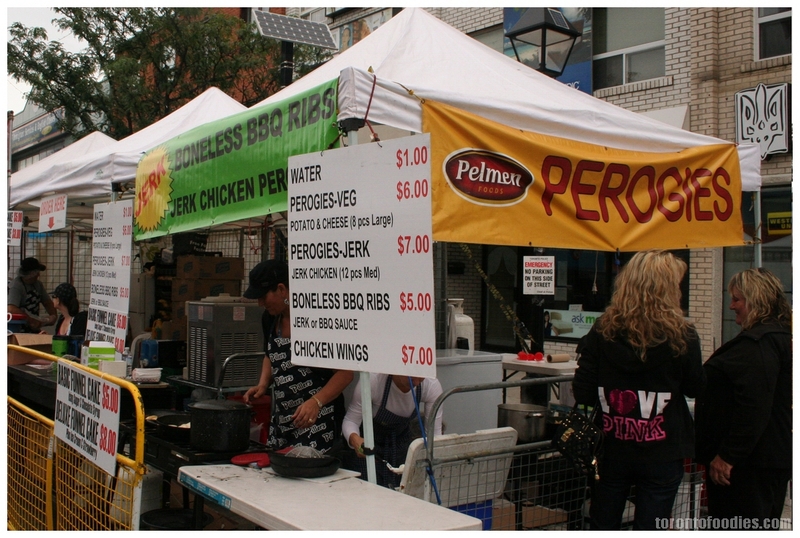 I had seen a Jerk Chicken Perogies stall at the Danforth earlier this year, but I’m not sure if it’s the same vendors (different signage). Pelmen Foods (http://pelmenfoods.com) make packaged perogy and pelmeni for grocery stores, and don’t have an actual restaurant. 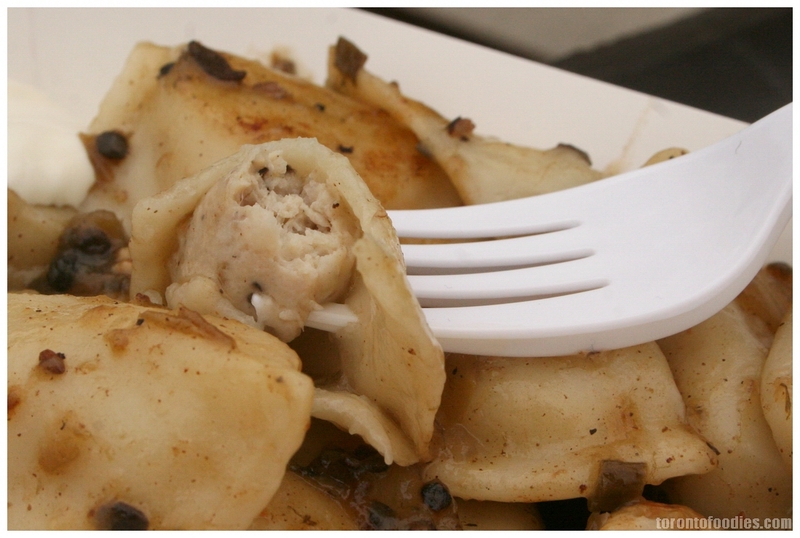 While advertised as pierogi, they were actually Russian pelmeni (http://pelmenfoods.com/products_rus.asp), a cousin of the pierog — smaller in size, and filled with meat. The filling was minced chicken meat, lightly seasoned, with a hint of tartness and herbs. 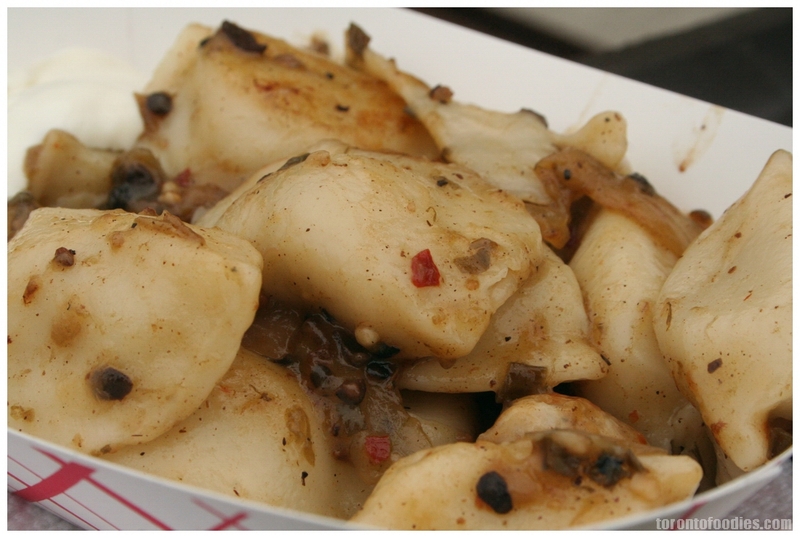 These pelmeni were tossed and sauteed with onions and E.D.Smith Caribbean Jerk Sauce. Served with a dollop of sour cream on the side, it was in wonderful balance, with the cool cream and tart spicy jerk bouncing off each other. The pelmeni were not too doughy, in good balance with its filling. Even at $7, I would recommend this to any visitors to the festival next year (especially compared to the going rate of $5-$6 for six pierogi at other stalls, that have not been pan-sauteed). 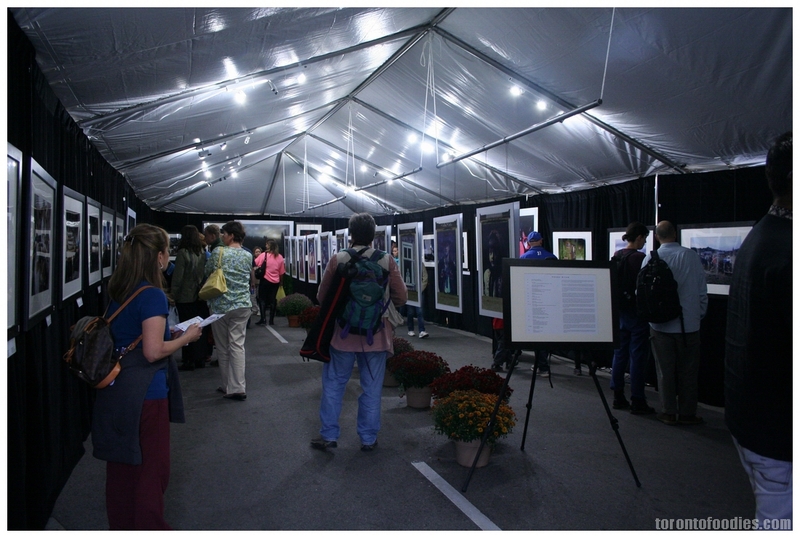 At the end of the festival, I came across this large tent, housing a photography exhibit – Youry Bilak’s Hutsels: In the Shadows of the Carpathians. The photos capture the visually colourful culture the Hutsuls, who live in the Carpathian mountains in Ukraine. This collection looks at their embroidery and tapestry, their mountain and village life, their Christmas and New Year’s celebrations. The exhibit will be available for viewing for the next two weeks (Sept 16~27, 2013) at the St.Vlad Institute.